Sundance Film: How can horsemanship help doctors be better communicators? Home/Uncategorized/Sundance Film: How can horsemanship help doctors be better communicators? Since 2006, medical students at Stanford have been working with horses to develop a greater awareness of the subtleties of self-presentation and communication that are necessary for the physician-patient relationship. The class, titled “Medicine and Horsemanship,” draws on core principles of the Natural Horsemanship, a philosophy of training horses made famous by real-life horse whisperer Buck Brannaman. 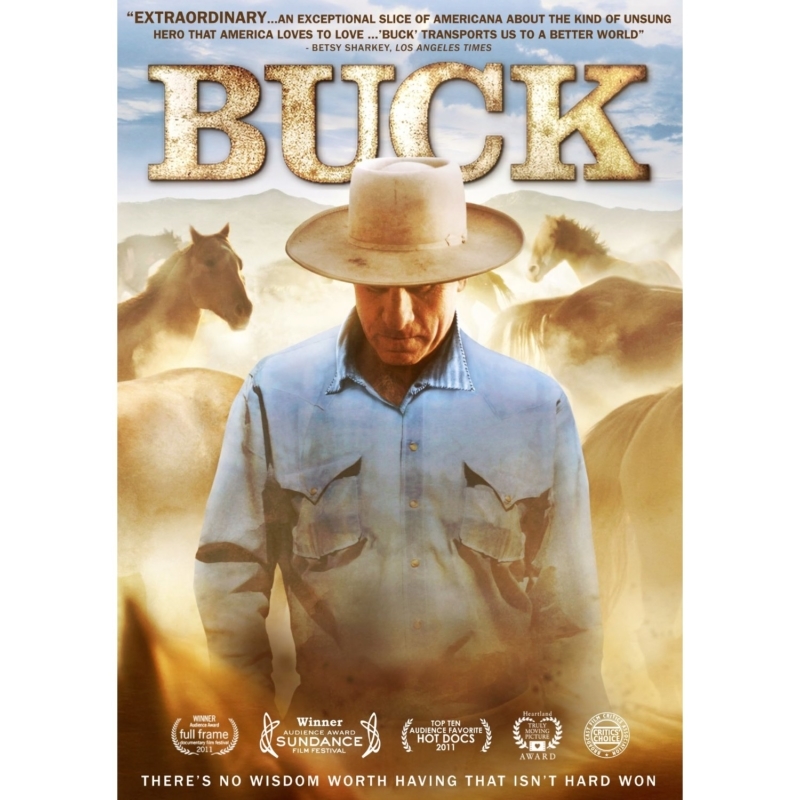 Today marks the Bay Area opening of BUCK, a new documentary about Brannaman’s personal story and zen-like approach to interpersonal relationships between humans and horses. Interested to know more about how Brannaman’s teachings are used in a health-care setting, I contacted Beverley Kane, MD, Medicine and Horsemanship program director at Stanford. Below Kane discusses how working with horses strengthens medical students nonverbal communication skills and how the principles of Natural Horsemanship translate to a health-care environment. How can horsemanship help doctors be better communicators? Horses are exquisitely sensitive to how we present ourselves. They pick up on every nuance of body language. They can even sense our emotions, especially when what we say is not what we mean or feel. As mirrors to our intents and behaviors, they will always let us know how we appear to them. In learning to notice the horse’s responses, medical students are trained to become more aware of how patients respond, even when patients are too polite to raise objections in so many words. Does the patient wince at the cold stethoscope? Does she withdraw if the doctor is violating her personal and cultural boundaries? Does she feel ignored or disrespected? Horses are not afraid to tell us all of these things by laying back their ears or simply walking away. One of the most popular sessions is the physical exam of the horse taught by our equine veterinarian. Students learn to approach the horse slowly and gently, constantly checking in with ears, tail, and other body parts to see how the horse responds to being examined. We ask the students, if patients could lay back their ears, what would they tell us? The Medicine and Horsemanship class draws on principles developed by Brannaman. What are one or two examples of these techniques and how do they translate to a health-care environment? Use pressure and release to teach each part of each task. Pressure is the ask. Release is the reward for attempting the task. Reward the smallest try, by release of pressure, even if the head or foot moves half an inch in the desired direction. Release is going back to the last place the horse felt comfortable. In Medicine and Horsemanship, everything we ask of a horse is informed by those principles. A favorite exercises is an activity we do during Halloween week called “UNinformed Consent“. Students attempt to get the horses through obstacles that are scary to them but no-brainers to us—a flapping silvery space blanket, balloons, scarecrow, etc. The students have to be extremely patient and slowly build up trust. The horse’s fear and resistance is a metaphor for patients who have to undergo scary procedures—anything from a simple phlebotomy (blood draw) to someone with needle phobia to major surgery. We know we can’t get the horse through the scary thing all at once. If he even looks at it, we release the pressure and take him back where he felt comfortable. That way, we slowly gain his trust. One student who was doing a year of clinical oncology research had been trying for months to get a patient to consent to chemotherapy. To the student, it was a no-brainer intellectually and statistically. But the patient wouldn’t budge. After “UNinformed Consent”, the student finally understood and empathized with her patient’s fears, realizing she couldn’t appeal to the patient by constantly pressuring her and only on rational grounds. In the film, Brannaman says, “Your horse is a mirror to your soul, and sometimes you may not like what you see. Sometimes, you might.” Have you found this to be true in teaching the Medicine and Horsemanship class? Yes, the horses respond to who we are inside, not to a titles or appearances. An important corollary to what Brannaman says is that horses do not judgewhat they find in our souls. They accept us for who we are. As long as we are honest and congruent they want to relate to us. The key is for us to be aware of what’s in our souls, what the horses are seeing. Because we meet over a period of several weeks the group evolves a certain amount of trust and familiarity. The first week, we teach a horsemanship practice called “Leave It At The Gate”. Every time a horseman works with a horse, and especially for that crucial five minutes in a horse show, he has to rid himself of all distractions—worries, physical annoyances, emotions, and anything else that would break his connection to the horse. Not that these thoughts and bothers get swept under the rug. They are acknowledged and left at the gate to the arena or corral for just those few minutes. Each week in the class, we state what we are leaving at gate so that we can we be fully present for ourselves, each other and the horses. As the course progresses, students and facilitators become more candid about what they’re leaving at the gate. By analogy, we teach students that before they enter a patient exam room they need to take inventory of what they are leaving at the gate so they can be fully present for the patient. The facilitator’s job is to notice objectively what the horses are doing, help the students interpret the horses’ behavior and ask students to consider—not necessarily share aloud—what other aspects of their professional and personal lives are coming up in that moment. Only the student can say what the horse is seeing in his soul. Now in its eighth year at Stanford School of Medicine, the Medicine and Horsemanship class has been replicated nationwide. Over the years, how has this class evolved? There are three ways the class has changed over the years. The first is by introducing more principles from Natural Horsemanship. In the early years, we tried to avoid making the class about horsemanship techniques because there is too much dogma about right and wrong techniques in the horse-training world that we come from. But when we realized we could use the principles of good horsemanship, with its emphasis on building relationships and trust, we came back to horsemanship. That is the message of the movie BUCK. It’s not about which bit or stick (stethoscope or reflex hammer) you use, it’s about the process of relationship building. Second, we now place more emphasis on the somatic, or body awareness, aspects of equine-assisted learning. Stanford physician Abraham Verghese, MD, says, “Medical students are so left brained, they list to one side.” Medicine and Horsemanship balances intellectual activity with an awareness of sensory input from one’s own body as a way to stay centered and grounded, keeping impatience and anger in containment during patient encounters. Third, we added an emphasis on development of leadership. When I went to med school at UC San Francisco in the late 70s this was not something that was considered important. But now that most physicians are employees in large medical centers with hierarchical organizational charts, good leadership and followership are necessary qualities. Physicians must lead themselves, their patients and their teams. Horses demand strong leaders in the herd and among their humans. Many of our activities now focus on leadership skills. Kane and colleagues will be at select movie theaters hosting information tables in to educate the public about equine-assisted learning, including Medicine and Horsemanship.